From left: Barbara Newman, CEO of The Blues Foundation, Chenango Blues Association rrepresentatives Eric Larsen, Pam Larsen, Linda Palmatier, Steve Palmatier and Blues Foundation Board President, Paul Benjamin. 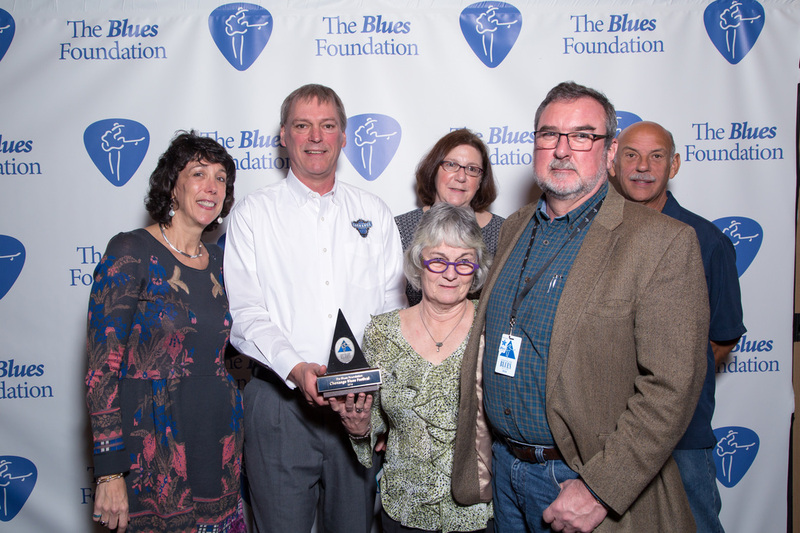 In January 2016, representatives of the Chenango Blues Association traveled to Memphis to receive the 2016 Keeping the Blues Alive award for US Blues Festival. Photo by James Wessels. 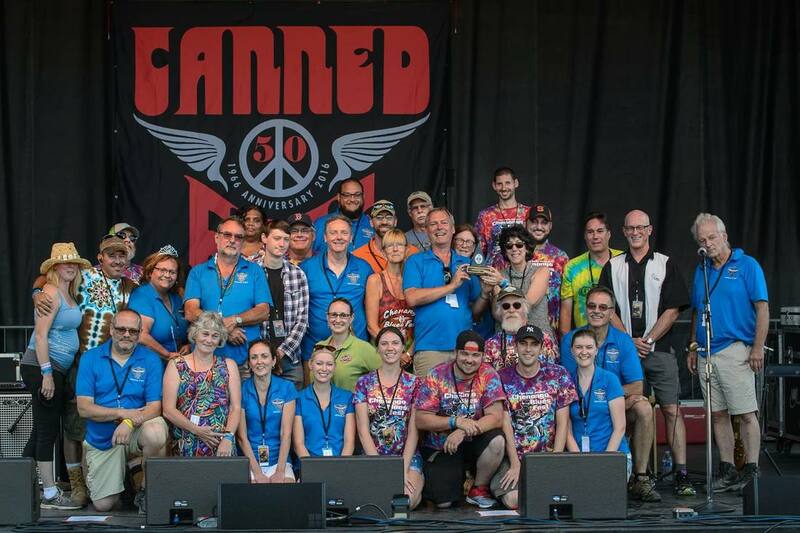 The Chenango Blues Fest is the 2016 recipient of The Blues Foundations Keeping the Blues Alive award as well as a two time recipient of the Russell J. Perlman Award for the most outstanding project to apply for a NYS Decentralization grant, which is administered by the Chenango Arts Fund. All the activities of C.B.A. are governed by a volunteer board of directors consisting of thirteen community members drawn from Chenango County. There is no paid staff and no office expense so all contributions directly increase our ability to expand programming. The major activities of the C.B.A. are a mid-August Blues Festival weekend held at the Chenango County Fairgrounds, 168 East Main St. in Norwich, NY and a Free Summer Concert Series held in East Park, Norwich in which we present different genres of music including Zydeco, Jazz, Bluegrass, Big-Band Swing orchestra, Americana, Country Rock and Reggae. 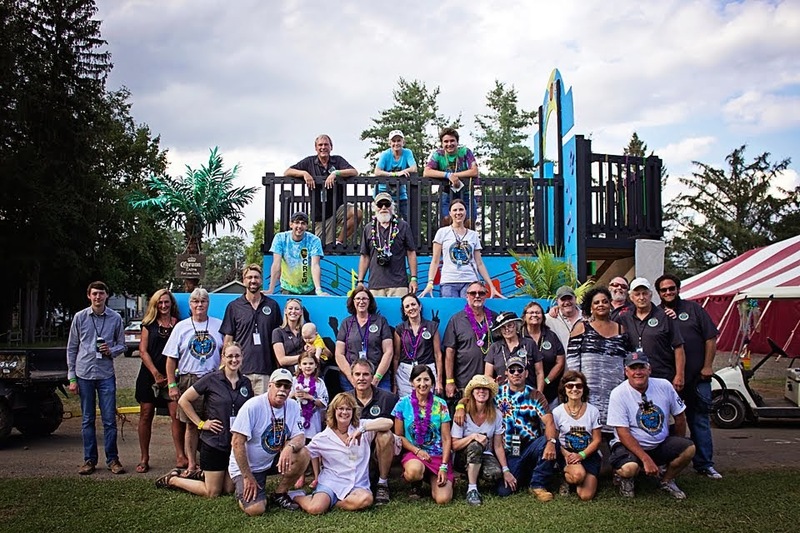 These events collectively draw thousands of people from throughout the Northeast.